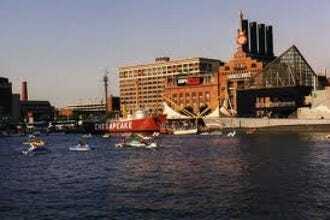 Whatever your reason for travel to Baltimore – intense business, invigorating sports, active sightseeing, food and souvenir shopping – it's a relief to know that the area has lots of different styles of wellness, beautifying and relaxation. How much time do you have? A quick trim or manicure between museum jaunts? Zena's Spa and Salon is right in the heart of Mount Vernon, located in a elegant, Victorian townhouse. Visitors to the city's northern end for lacrosse games, university visits, the Preakness at Pimlico Race Course, will appreciate the full, classic treatments available at Elizabeth Arden Red Door Salon & Spa. Perhaps you're roaming farther afield. No need to surrender your glamour quotient! A great variety of head to toe treatments are available at Harford County's Par Excellence Day Spa. Experience clean, mountain air and natural warm mineral water at Berkeley Springs State Park. For the ultimate in luxury and indulgence, the Spa at the Four Seasons has therapies and facilities you wouldn't even imagine in a hotel setting! Here's something different for a spa: this one, you need positive photo id to get in! Be Relax is an international chain based in France. They don't have many US locations, but one of them is at BWI Thurgood Marshall Airport! Traveling can be hard on your looks: broken nails, slept-on hair, poor posture from long flights. 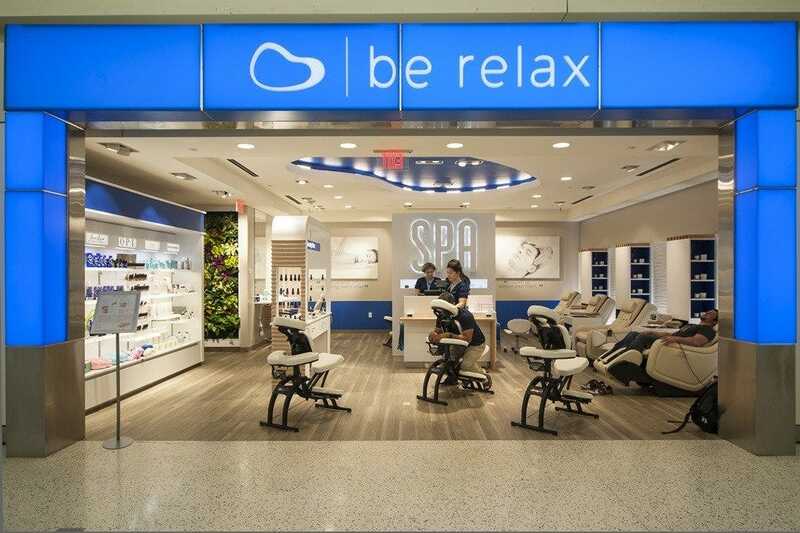 Be Relax specializes in what you could describe as two main types of treatments: those that are quick-fixes before you head to your destination and also, those treatments that help pass the time pleasurably when your flight is delayed. They use their own French-created organic and natural skin care products and also have "dry" massages for when you don't want to take off your outfit. Conveniently located in the plaza by the Pikesville Hilton, this is a spa to go to when you need answers: what should I be doing with my hair? What's going on with my complexion? What color of nail polish should I wear to my job interview? The spa is staffed by highly experienced Europeans who know what's what in global beauty. They use a variety of high quality products. You'll see some of Baltimore's most glam people treating themselves to regular appointments – important self care – here. Experience, knowledge and trustworthiness make this the place to get delicate treatments like lash perms. Located in historic Mount Vernon in a gorgeous Victorian era townhouse, Zena's caters to men and women with everything from hair care to couples' massages. This twenty year old salon was voted Baltimore's Best multicultural salon working with all types. Many of Zena's staff has been with her for decades, an impressive fact in a field known for high turnover. The clients reap the experience! Zena's has greatly expanded throughout the years, now featuring a slew of cushioned pedicure chairs, custom defined spray tan facilities, several massage rooms. They now makes available the cellar level for private BYOB and bring your own food parties. It's very popular for bachelor and bachelorette parties seeking to include beauty treatments in their celebrations. A serene resort in the 'burbs? Scenic vistas as far as the eye can see? Your expectations will be confounded at Turf Valley's spa. The Greco-Roman decor, quality skin care products and relaxing atmosphere add up to a great place to up your wellness and beauty potential. They have a large selection of custom and signature facials, as well as body treatments ranging from curative to indulgent, many of which use the prestigious Dermatological line. Their relaxation room opens out into a courtyard in warm weather. Down the hall is their indoor heated pool, hot tub and fitness center, to create your own retreat. Though it has full traditional salon hair and nail services, it's the spa menu that sets Red Door apart. Arrive plenty early for your appointment to slip into one of their robes and chill out in the subdued lighting relaxation room. One of the benefits of visiting the Red Door Spa is their use of Elizabeth Arden's proprietary line of anti-aging and skin care products. Cutting edge services are available, including color light therapy facials, lash extensions and marine cellulite treatments. The spa received the Best Spa Getaway award from Baltimore Magazine's Best Of. Spa packages that include lunch are from neighboring Donna's. This spa is located in a gorgeous Victorian home in historic and charming Havre de Grace, Maryland. Though Havre de Grace is a small bucolic town, the spa certainly bests most city destinations – at very reasonable prices. A vintage clawfoot tub allows for luxurious aromatherapy/aqua therapy treatments in one of six rooms. They have a licensed physician who is available for acupuncture. Par Excellence offers teeth whitening, waxing, tinting and electrolysis, as well as a full complement of nail services, facials and massages. However, they do not have hair services. Saturday is a short day for them, so plan your beautification accordingly! The "Sweetest Place on Earth" has a elegant spa that – not surprisingly – features many chocolate-based treatments. It makes skin-care sense, since the natural plant has many antioxidants, fatty acids and other nutrients to make you gorgeous. There are several other treatment categories, based on life experiences of the real-life Hershey couple. Roses, Cuban Mojitos and local ingredients like milk figure in the spa menu, giving a wide variety – and great reason to come back repeatedly. There's a wide selection of hydrotherapy baths that go far beyond – with ingredients and color therapy – what you would do in your tub at home. The spa has savings and special packages for weekdays. Imagine a virtually private spa, patronized by you and perhaps a few other people. Very aristocratic! The Spa at The Ivy is open to the general public as well as hotel guests, but one must make an appointment to access the secure, discreet premises. As befitting such an experience, the atmosphere is serene in the magnificently restored Victorian mansion. All services, whether body treatments, massages, makeup application, manicures or styling, are customized to the client after an interview with your provider. Gourmet spa waters and little munchies are available. Your treatments are done with on the finest quality of linens and blankets. They have a carefully curated retail section with luxe beauty products, including "9-free" londontown nail polish, Jane Iredale cosmetics and NuFace. Every detail is thought of at The Spa at the Four Seasons, beginning with private changing booths, the offer of "more comfortable size" robes and heated towels. Lounge chairs are also heated. The relaxation room – that opens out onto a deck in good weather – has constantly evolving fresh fruit infused spa waters, teas and seasonal granola offers made by the hotel's chef. When it comes time for your service, a relaxing candle-lit room with choice of music awaits. Not only are there a selection of massages, but there are also beauty and cellulite treatments, facials, nails and energy work. Additionally, they have specialized services like Reaction by Viora for skin tightening. Clients of the spa can access a personal hot tub with ergonomic roller chairs, a disco light rain shower and a eucalyptus sauna in separated by gender areas.